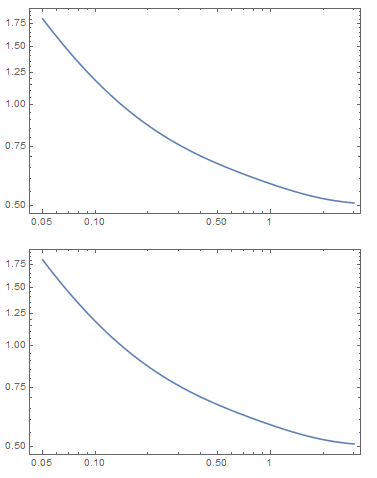 My problem is, according the manual of Mathematica, Mathematica uses Log[y] to denote the function $\ln(y)$, the Logarithm base $e$ , so im afraid that LogLogPlot[mumas[y],...] is actually a graph $\ln\mu$ vs. $\ln y$, so my question is how can change the Log base so the graph is in the base I needed. I hope I was clear in specifying the problem. 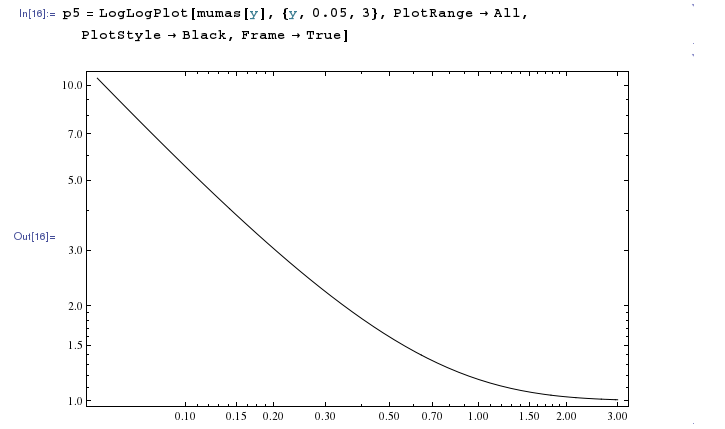 The base of the logarithm doesn't matter in log-plots or log-log-plots. As you can see, everything is the same. How to find and show a fitting line for ListLogLogPlot? How to define variable “Rainbow” curve colors? How can I do a plot in real time as data is created?